Many people who buy cars from dealers in Pennsylvania may not be aware of the rights they have under the law to protect them as consumers. This may leave some buyers with the impression that once they buy a used car, they do not have any avenue to hold the dealer accountable if the car breaks down, cannot pass inspection, or comes with extra costs that go beyond the advertised price. Pennsylvania law protects car buyers by requiring dealers to meet certain standards in their advertisement and sales transactions. Although the Pennsylvania Automotive Industry Trade Practices law covers car sales from dealers, the definition of a dealer includes more sellers than a consumer may imagine. A dealer can include any person who sells or negotiates the sale of more than five cars a year, who sells or negotiates the sale of a car on behalf of another person, or who sells or negotiates the sale of a car that was specifically bought for resale. 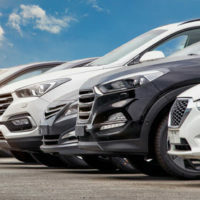 Any conditions of sale, for example, that the offer is for a limited time, or that there are only a limited number of vehicles available for sale under a particular offer. Furthermore, if the consumer is trading in a car based on an advertised trade in offer, the dealer has to disclose if the trade in offer will be reduced if the car to be traded in is not in a certain condition. The advertised price must also include charges that would arise before the car is delivered to the consumer. The dealer cannot add on charges for freight, handling, and dealer preparation after the consumer agrees to the advertised sales price. The consumer should note that he will bear the cost of taxes, registration, and licensing. Any extra charges that are not included in the cost of the car have to be spelled out in the sales contract or agreement, and the consumer must receive a copy of the agreement. If you bought a car from a dealer and were charged for undisclosed costs, or you later discovered the car had pre-existing damage that causes it to fail inspection, you may have a legal claim against the dealer who sold you the car. For more information, contact Louis S. Schwartz and his team at ConsumerLaw Pa.com.